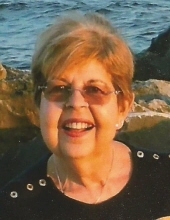 Beverly Miller Williams, 71, died Saturday, February 2nd, 2019 at Mobile Infirmary in Mobile, AL. A Florida native, Beverly had lived in Marianna for over 50 years. At age 16, she married the love of her life and raised two sons there. She was preceded in death by her husband of 52 years, Edward D. Williams III (Ed); their youngest son Robert Louis Williams (Bob); and her parents W.W. and Mary Lee Miller of Graceville, Fl. Survivors include her oldest son, Edward D. Williams IV (Eddie) and his wife, Lisa; three grandchildren, Lindsey Hodskins and her husband, Rusty, Edward D. Williams V (Trey), all of Mobile, AL, and Tyler Chance Williams (Ty) of Auburn, AL. She is also survived by her two great grandchildren, Scarlett Rose Hodskins (age 5) and Mitchell Reed Hodskins (8 months). The family is grateful for your prayers and moral support during this time of their loss. There will be a private family service with James & Sikes Funeral Home Maddox Chapel directing. In lieu of flowers, contributions may be made to Partners for Pets of Jackson County in her name. To plant a tree in memory of Beverly Miller Williams, please visit our Tribute Store. "Email Address" would like to share the life celebration of Beverly Miller Williams. Click on the "link" to go to share a favorite memory or leave a condolence message for the family.